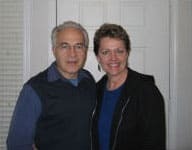 Steven’s story: I have suffered with chronic fatigue, painful muscles, weak connective tissue and inflammation for most of my adult life. I believed these conditions were caused by “leaky gut syndrome”. I used many colon cleansing strategies and probiotic products, supplements, vitamins, minerals, enzymes, herbs, with only limited results. I had doubt the three day cleanse would work for me or I would get the same results as others I read about on this website. I was amazed when the plaque lining came out starting the very first day. I had very little hunger, with no cramping. My assimilation of supplements went way up with immediate improvement of all afore mentioned symptoms. I continue to improve daily. Maureen’s story: I would like to share my phenomenal experience with So Easy Cleanse. I have a lifetime history of colon problems, literally existing since birth. I was astonished the product delivered all it promised, and then some! Not only did the entire mucoid lining release over the three day period, I experienced a sensation of “brightness” about myself, like a veil or fog being lifted to the extent of even my vision seeming clearer. That was a totally unexpected healing bonus. Thank you Bryant, so glad I found these products.